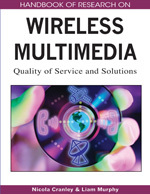 Major research challenges in the next generation of wireless networks include the provisioning of worldwide seamless mobility across heterogeneous wireless networks, the improvement of end-to-end Quality of Service (QoS), supporting multmedia services over wide area and enabling users to specify their personal preferences. The integration and interoperability of this multitude of available networks will lead to the emergence of the fourth generation (4G) of wireless technologies. 4G wireless technologies have the potential to provide these features and many more, which at the end will change the way we use mobile devices and provide a wide variety of new applications. However, such technology does not come without its challenges. One of these challenges is the user’s ability to control and manage handoffs across heterogeneous wireless networks. This chapter proposes a solution to this problem using Artificial Neural Networks (ANNs). The proposed method is capable of distinguishing the best existing wireless network that matches predefined user preferences set on a mobile device when performing a vertical handoff. The overall performance of the proposed method shows 87.0 % success rate in finding the best available wireless network. Next generation wireless networks (NGWN) will utilize several different radio access technologies, seamlessly integrated to form one access network. This network has the potential to provide many of the requirements that other previous systems did not achieve such as high data transfer rates, effectives user control, seamless mobility, and others which will potentially change the way users utilize mobile devices. NGWN will integrate a multitude of different heterogeneous networks including (a) Cellular networks, passed through multiple generations – 1G, 2G, 3G and 3.5G; (b) Wireless LANs, championed by the IEEE 802.11 WiFi (Wireless Fidelity) networks; and (c) Broadband wireless access networks (IEEE 802.16, WiMAX). As well, multi-hop/ad hoc variable topology networks, where portable devices are brought together to form a network on the fly, are emerging as a viable alternative to enhance connectivity and flexibility.